Wisconsin Central SD45 helper 7498 returns light back to Fond du Lac after assisting train 510 over Byron Hill. The helper is manned by one person who uses a remote control device to uncouple from the train at speed. A moment ago 7498 revved up its engine to take slack, then the engineer "pulled the pin" using a remote uncoupler, then came to a stop while 510 receded into the distance. 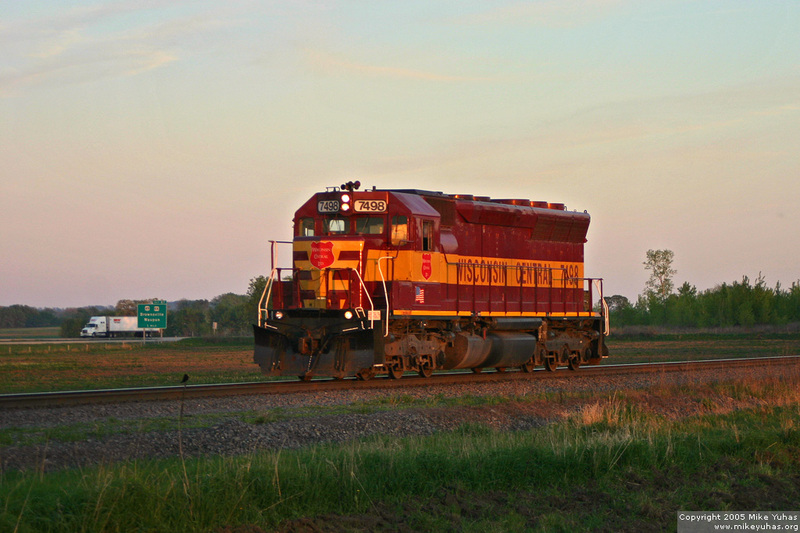 After having received a signal to go north, the helper heads back to Fond du Lac.